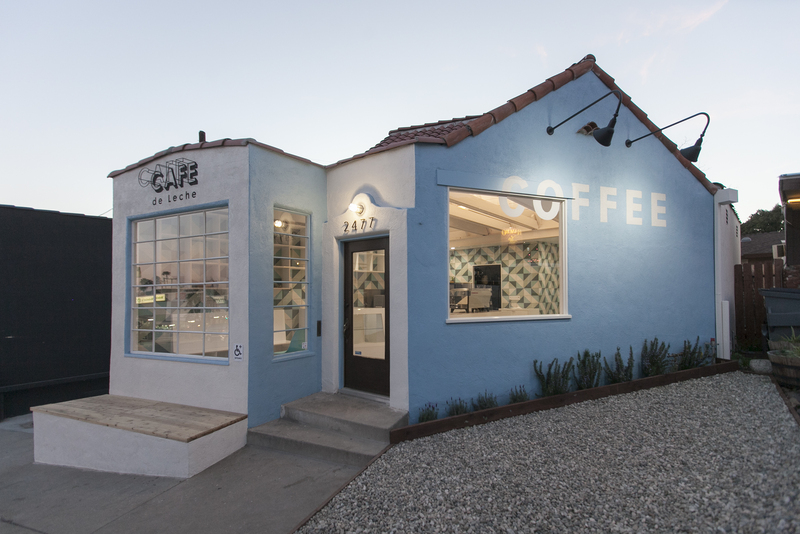 The second location for Cafe de Leche has similar intentions as the FreelandBuck-designed Highland Park location; an interest in a vibrant interior that is both comfortably familiar and uniquely distinct. Conceived as a public node for a then-nascent community, CdL mixed a hallmark of contemporary urban redevelopment, the cafe, with aspects of local culture to create a diverse public space of commerce. 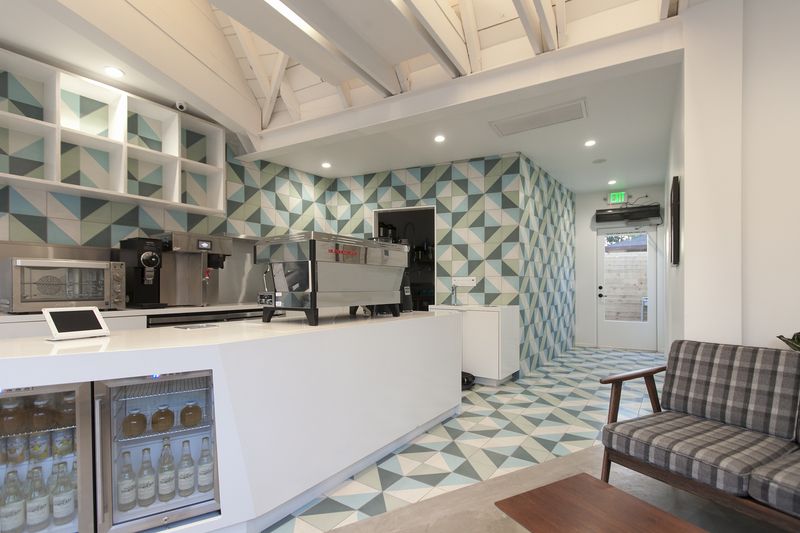 While the Highland Park location projects the interior out to connect with the street, the Altadena location draws people off the street with a brightly patterned interior into a generous rear patio space. Programmed with seating, performance area, and children’s area with a sandbox, the tight interior is defined primarily by movement; in, out and through the cafe with limited opportunity for seating. 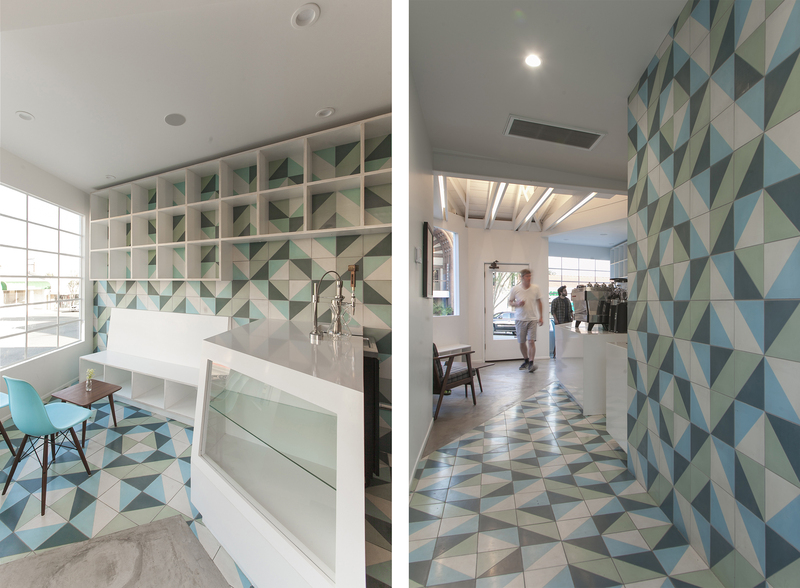 The custom tile graphic expands the interior connecting floor and walls into a spatial field with uncertain boundaries.